Ever wanted to build a fully artificially intelligent robot as a kid? I did. So now that you’re older, why not use the OpenCourseWare materials at MIT? They have a complete Artificial Intelligence course online. Not only that, but they also have an online tutor that’s available for anyone to use. That means you. Go! Go forth and learn some mad science! Muahahahaha! My first impression of Amsterdam was that it’s cold! It was a transition from 35°C to -5°C. And it was overcast and rainy too. The heavy coat I got from the army surplus store immediately became my favorite garment. Amsterdam is very vertical. My flat was on the fourth floor of a building with no elevator. In fact, I don’t recall any elevators, anywhere. My bedroom was basically a large bunk-bed. When I went to report myself to the Aliens Police (Live Long And Prosper! ), the only thing they had in their entrance hall was a set of stairs. No ground floor. The architecture did remind me strongly of Stellenbosch, which makes a strange kind of sense. There seems to be very little redevelopment in Amsterdam. Everything is converted from old buildings, which were largely around before Simon van der Stell was even born. The wooden stairs even had the same construction. Their transport system was a revelation. A single ticket strip can be used to transverse the city by bus, tram or train. The trams are electric, and the power cables simply don’t get stolen. In fact, they haven’t had any power outages or glitches for the last 25-odd years. Their office servers are not even connected to UPSs. Despite the extensive public transport system, many people get around by bicycle. All the bicycles are ancient black models (with no gears! ), since any obviously new bike gets stolen. Even new bikes are made to look like old bikes. I have seen some interesting innovations, like wheelbarrow bikes, and I once saw a guy pulling along an unmanned cycle next to him. Everybody was thin. All the stairs, the walking, the low temperatures, and the diet all seem to contribute to a higher metabolism and a healthier lifestyle. Through no special effort, I lost a kilo in the week I was there, and I never had so much energy. It must be my European heritage. My body seems adapted for those conditions. The people are not only beautiful, but friendly as well. They did all assume that I could speak Dutch, but everybody I met was fluent in English as well. I did get the most terrible headaches from trying to watch English and American TV-shows. All of them were subtitled in Dutch, and I couldn’t stop myself from reading the subtitles. You try to watch an English show while being forced to read subtitles in a language that you understand about 75%, but with more complex grammar and a not quite foreign vocabulary. There seemed to be no large billboards, no beggers, no violent crime, and no supermarkets. Yes, no supermarkets, at least not like we know them over here. I also saw only one bookshop that had any English books at all - the “American Bookshop”. Book prices were comparable to book prices here, but almost all other goods are at least twice as expensive. Speaking of other goods, nothing had labels in English! I had to puzzle out whether I was buying cheese, soap, or head cheese (aka. braaaaains) using my broken Dutch, and even more broken German. Of course, there was usually an attractive young lass around to ask for help. Spectator sport seems to be an oxymoron there. Everybody that I met had at least one sport that they do, but not any that they watch. Even mind sports are revered. In Amsterdam alone, there are not less than five Go clubs, some of which meet more than once per week. I even spent one evening in a mind-sport cafe, where people were playing chess, bridge, Go and various other board and card games. I did play against someone who used to be a 3-dan Go player, and he was gracious enough to let me lose by only 2 points before educating me on many interesting and subtle points of the game. In the end, I did not accept the job offer. Amsterdam isn’t nearly as foreign as I thought it would be, but it just doesn’t feel like home. They don’t even know what milk stout is. Let’s say you have a private datalog that only you can access from the web or your mobile device. You use it to log private data, like when you get in bed, and when you wake up. Your daily weight. Your exercise and caloric intake. Ideas. Thoughts. Todo items. Interesting things to follow up on. Anything worth remembering. Once this data is logged, you can do all kinds of data analysis on it. Plot your weight trend (like The Hacker’s Diet Online does). Keep a running total of your daily caloric intake. You can then start programming the system with heuristics. It can suggest meals for you, keeping in mind what you already ate, what your weight goal is, how much exercise you’re getting, and what nutritional rules you should follow. With proper device integration, cool things can happen. You can meet someone, take a snapshot, tag it with their name, and your phone sends it to your datalog where it goes into your private contact database. The datalog scripts can set reminders for you on your phone. Basically, your datalog puts personal data in a format that is readable and usable by whatever scripts and data analysis tools you can imagine. When you run heuristics on your data, you are automating something you would have done manually before, or not at all. You are offloading personal data processing to wherever you store that personal data. This is the first step towards exocortex technology. And it’s completely doable. School forms a large part of this subconscious education. I only started realizing how bad it was when I started reading books like The Underground History Of American Education (readable online) and The Hidden Curriculum. Schools are not typically run as democracies. Examine their structure, and you will realize that they are dictatorships. Democratic Schools do exist, but they are by far in the minority, and they certainly aren’t state policy. The hidden lessons are scary. Obey authority. Don’t take initiative. There is only one way to do anything. I think the most insidious lesson is that only the teacher can ever be right. The trend continues in Universities. Learning is institutionalized. Only a select few have the right to create new knowledge. The Ivory Tower. What if there’s a better way? Open education resources (OER) are not having as much of an effect on Universities. Some big universities, like MIT, Stanford and Berkeley, are releasing some of their courseware under copyleft licenses, but these courses are rarely complete. I have yet to see them use a single copyleft textbook. In The Cathedral and the Bazaar Eric S. Raymond contrasts two different methods of open source development. In the Cathedral model, a small group of developers carefully craft all the code for a project. In the Bazaar model, the code is public and gets developed by anybody who wants to. The analogy may give us a hint as to why OER has such an insignificant effect on education. What I’d really like to see some grassroots Bazaar style open content education. People collaborating to learn and discover new things, where anybody who can add value can participate, regardless of income or age. I want to see a meritocratic, autodidactic revolution. Free love and knowledge, dude. The world is undergoing a quiet revolution. While the RIAA and MPAA are suing the pants off anyone who they can pin copyright infringement charges on, the world is slowly moving beyond the concept of copyright. It all started with Richard Stallman. By starting the GNU movement, he rebelled against the concept of non-free software. In the process, he made people start questioning the very concept of copyright. Inspired by the GNU licenses, Lawrence Lessig started the creative commons movement. This provided licenses that can be applied to any work to remove many of the restrictions that traditional copyright law protects. There aren’t just idle theories. Content producers are buying into the concept of less restrictive copyright on their works. Radiohead and Nine Inch Nails released albums online for free. Cory Doctorow releases his books online for free. Baen Books puts many of their books online for free. Michael Moore released his latest documentary movie online for free. Technobrega artists in Brazil give their music away for free in order promote themselves. MIT, Stanford, Berkeley and other universities are releasing their course ware online for free. What is interesting to note is that content distributors are the people who are fighting the hardest for the future of copyright. It wasn’t The Artists vs. Napster, it was the RIAA vs. Napster. This is because content distributors have been exploiting the artificial monopoly of copyright for all it’s worth. The services that these conglomerates used to provide (distribution, marketing, exposure) is being replaced by the Internet. By using copyleft licenses, people are effectively opting out of the copyright system. They are choosing freedom. People want information to be free. You aren’t a true tech geek until you’ve got an ACM membership. Nothing convinces management like whipping out your membership card. Argumentum-ad-awesome is irrefutable. In addition, you get access to 1,100 books and 3000 courses through the ACM’s subscription to Safari Books Online, Books 24×7, and Skillsoft, but we all know that you’re really in it for the communion of great computing minds. Don’t you deny it. As a bonus, South African computing professionals even get fantastic discounts when joining up. I’m a member. Are you? One alternative is a cheap Network Attached Storage (NAS) device. It’s possible today to build a 1.5TB NAS for about R 2500. Fill them up, and connect them to the network at LAN parties, Internet cafes, University networks, wireless area networks, and wireless hot spots. Another alternative is something I like to call Post Toasties. Have a website where you can request DVDs to be burned, and mailed to you. Then there’s the BYOD (Bring Your Own Drive) option. Why bother with network storage units? Have people bring empty drives to be filled up. Make it available as a service at internet cafes that have a NAS. Use the above strategies as delivery options for an open content downloading service. I’m talking about things like the TED talks, and video lectures from MIT, Berkeley, Stanford, and ArsDigita University. As an individual it’s simply too expensive to download these by myself. The thing is, if you create new ways of moving data, soon people will start making data to move around. Won’t be long before we’d see locally produced vlogs and web series. If they get good enough, maybe they’ll get picked up by local broadcasters. I want to see what happens when we put powerful content moving networks in the hands of ordinary people, and how it will blur the lines between professional and amateur. I don’t want to wait for Telkom and Neotel to liberate us. I want us to liberate ourselves. You never see him again, but suddenly all of them recognize you and greet you by name. You’ve been added to their centralized face/gait/RFID/aura recognition system. It’s a bit creepy, but they seem harmless. You ask one of them about the favor. “We use a type of mutual credit system to keep track of money and reputation”, she says. You wonder how the collective can owe you if you’re not one of them. 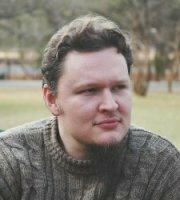 “System not closed… tribe-collective can… interact with the external system… does not have a zero-sum value… Torvalds or… Stallman… has great reputation… with tribe-collective…” a somewhat spaced out guy tells you. You ask about tax. “Tax? What an antediluvian concept. We don’t do tax. How can you tax favors?” a teenage boy crows. “You have asked many questions, and we have given many answers. We have repaid our debt.” a sober man tells you. The collective ignores you again. You feel a bit lonely. They’re an interesting bunch. NOTE: Mutual credit systems exist, though they usually stick to tracking just money. South Africa even has it’s own Community Exchange System. “Would you like a flower?”, he says. 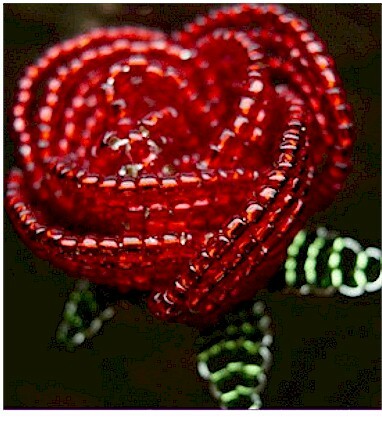 He is holding out a bead and wire rose. I tell him no thanks. “Would you buy me something to eat? I’ve had a tough day.” He has such tired eyes. I agree. While we wait for the food, I ask him questions. His name is Samuel. He lives in town, and has to take a taxi out here every day. He knows about all the flea markets around, but he would have to pay for a table, and there’s too much competition. His brother taught him to make wire art, and it is hard. His fingers hurt from the effort of making them. He shows me the things he has made. 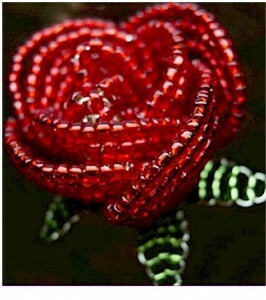 The long stemmed glass and metal roses, a tiny elephant, and the thing he is most proud of, “my little shoe”. The last one is his own design. I wonder how I can help this man. I stare at the little shoe while trying to think of something. Supply and demand. Rarity makes something valuable. Discovering a niche. Anime figurines? Maybe a product with utility other than just aesthetic. The food arrives, and I still have no words for him. No magical plan that will transform his business. He thanks me for the food, and bids me a good day. It’s been dark for an hour. I don’t know how to help this man, or the other artists displaying their goods by the roadside. Everything has the same style, so we assume it comes from the same place. The reason it all looks the same is because they learn from one another. The work has no voice, because it is the voice of them all. I have no idea how to help this man and his brothers. I wish I did.